NCUK Partner Awards 2018 – Shortlist Announced! NCUK is delighted to announce the shortlist for the NCUK Partner Awards 2018! The awards ceremony will be taking place on Tuesday 27 November in Birmingham hosted at Aston University. We would like to congratulate all of our Study Centres who have been nominated for these awards, which recognise the hard work and dedication of the centre staff and students over the past year. 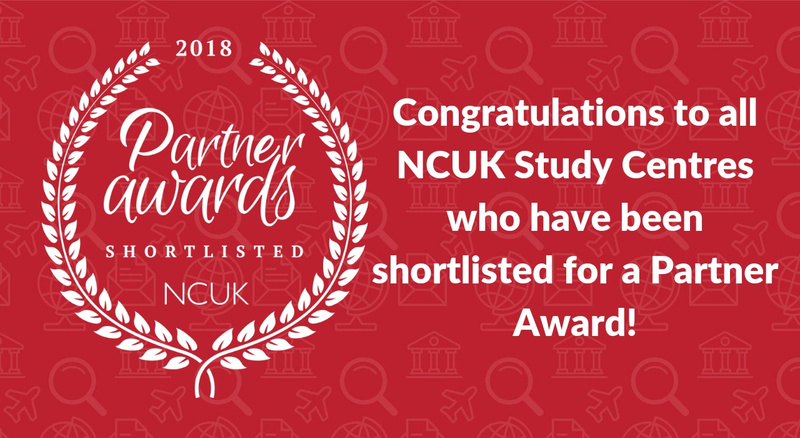 The NCUK Partner Awards 2018 ceremony is taking place during the annual NCUK Partner Conference in Birmingham which is being hosted by Aston University from 26 – 30 November 2018. The annual Partner Conference is a great event and opportunity for our Delivery Partners to learn more about NCUK, discuss best practice and meet the whole NCUK team and universities. Read about last year’s conference by clicking here. If you’d like to join our Global Network of Delivery Partners then get in touch with us here.